When I heard recently that actor Richard Hatch had died of pancreatic cancer, my thoughts went immediately not to his time on Battlestar Galactica (arguably his main claim to fame for most casual audiences), but rather to his fine performance in EMI Entertainment’s Deadman’s Curve: The Story of Jan and Dean, a made-for-TV movie biopic of the influential “surf rock” duo that aired on February 3rd, 1978 to big, big ratings for the CBS television network (ask your grandparents what “CBS” and “television” are, kids). Released just once on VHS by something called Interglobal Home Video, Deadman’s Curve, like hundreds of other entertaining made-for-TV movies from the 1970s—truly the “golden age” of MTVs—has never seen a DVD release. Nor will it any time soon, in all likelihood; in this case I would imagine expensive music releases for Jan and Dean’s songs featured here would negate any projected profit margin an enterprising promoter might envision. Even if I still had a VCR, I don’t think I’d risk $20 or $30 for one of those “vintage” Interglobal cassettes on Ebay or Amazon. So it was off to YouTube, a haven for a surprising number of those ’70s MTVs, where luckily an upload of Deadman’s Curve resides (I’ve become so used to DVD crystal clarity, that at first it was rather like watching a movie through a cloudy goldfish bowl…but you get used to it). I wouldn’t hazard a guess as to where 60s “surf music” in general, and the rock/pop duo Jan and Dean in particular, fall in today’s ranks of pop culture recognition. In the early to mid ’70s, Jan Berry’s and Dean Torrence’s music was long off rock and even Top 40 radio; it had already been relegated to oldies stations. But to a kid like me growing up in the Midwest, their music still held a nostalgic, just-vanished promise of the mythical SoCal “good life” of endless summers, beautiful bikinied blonde girls on the beach, clean-cut, all-American guys in their Pendletons, and hot rods burning rubber on all those famous California drags (you could sidewalk surf where I lived, but if you wanted to catch a wave, you’d have to drive your pick-up truck off a Lake Erie dock). Sure the soft, doughy Beach Boys had more hits, and they’re officially “legends” I guess, because they’re in that verkakte Hall of Fame (in, jumping jesus christ, Cleveland of all places). However, there was an edge, a rowdy, almost comedic insistence to Jan and Dean’s hard-driving, adrenalin-catchy singles that worked on you instantly; he may have had a hand in writing it, but you sure as hell never heard anything from spacey Brian Wilson’s BB as screaming crazy dark as Dead Man’s Curve, with those startling, blaring horns, the confident American punk one-upmanship of the lyrics (“But I’ll go you one better, if you’ve got the nerve, Let’s race all the way …to Dead Man’s Curve!”), and the shrieking tires and exploding glass of the song’s auto crash finale. 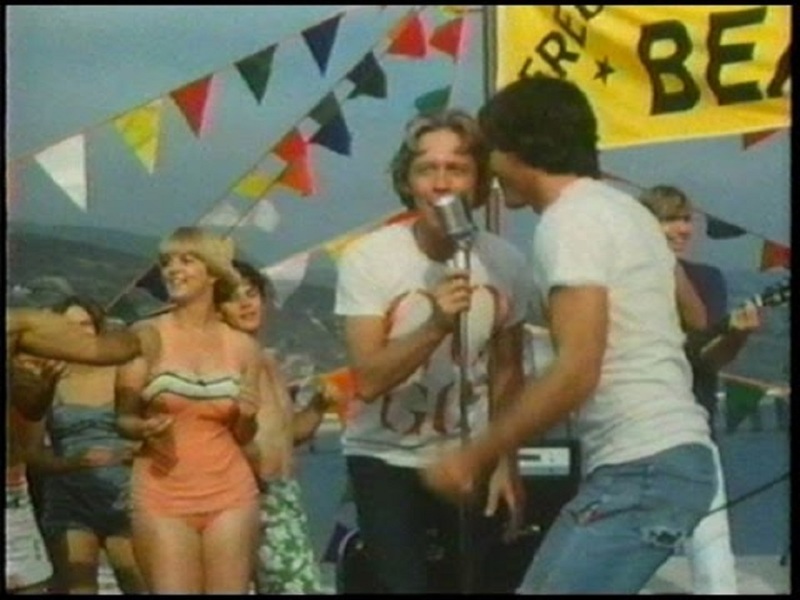 I’m rather surprised that 1978’s MTV, Deadman’s Curve, is the only screen incarnation, big or small, of the Jan and Dean biography. Their dramatic story fairly screams for a big-screen adaptation. Jan Berry, a movie star-handsome high school kid and star athlete with a genius I.Q. and a penchant for getting in trouble with the law, almost single-handedly created a doo-wop classic, Jennie Lee, in his well-to-do Los Angeles suburban garage in 1958. His high school friend and singing partner, laid back Dean Torrence, briefly sidetracked with a stint in the Army Reserves, joined Berry as a duo act, with Berry then proceeding to co-write and produce increasingly complex, musically influential singles like Surf City, You Really Know How to Hurt a Guy, Sidewalk Surfin’, Popsicle, and The Little Old Lady from Pasadena, totaling 28 charting singles, seven in the Top Ten, in just seven years. 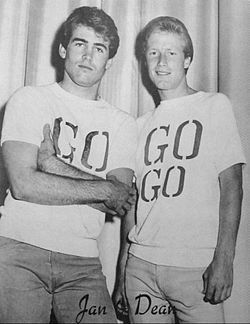 At the same time, unlike any other Top Ten rockers I can think of, solid citizens Jan and Dean both kept going to college, full time, while they were national celebrities, with type A personality Jan attending a prestigious medical school, no less, on his way to becoming a physician. 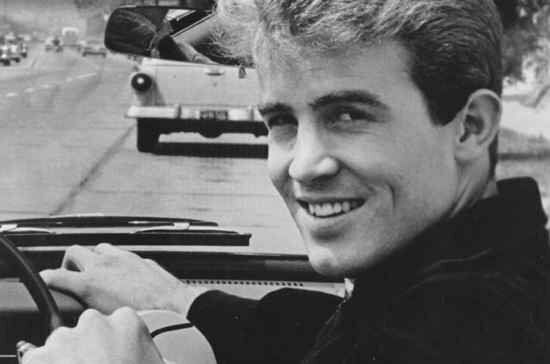 Just as the musical scene was about to change, however, in 1966, as Jan and Dean’s record sales had peaked and the unequal partners were increasingly estranged (all artistic and business control—as well as the majority of the royalties—were in bossman Jan’s hands), and when Jan received a notice from his local draft board that he was now eligible for induction (and possibly Vietnam), Jan Berry, leaving the draft board office in a fury, lost control of his Corvette and slammed into a parked car on April 12, 1966, and that, as they say, was that. Suffering catastrophic injuries including brain aphasia, Jan was never the same again. It took years for him to relearn how to talk, how to walk; his entire right side was partially paralyzed, and his ability to speak was limited. Scroungers and filthy hippies took advantage of him (he sort of let them, too) in his increasingly dilapidated home, his financial resources dwindled, and he had problems with the law. Dean, on the other hand, eventually became a successful graphic artist (he won a Grammy for an album cover), while he released two successful Jan and Dean compilation albums. Those records, and a favorable “whatever happened to?” Rolling Stone article on the duo, coincided with the nostalgia craze of the mid-70s, leading to CBS’ MTV, Deadman’s Curve with Hatch and Bruce Davison as Dean…which in turn created a whole new audience for the re-formed duo. Deadman’s Curve, written by Dalene Young (Dawn: Portrait of a Teenage Runaway, Little Darlings), and directed by Richard Compton (Angels Die Hard, Macon County Line), isn’t much deeper than the two previous paragraphs’ synopsis. As with most fictionalized biopics, lots and lots of historical detail is jettisoned to get the tone of the true story being told…and if that means some characters have to be composited or fabricated, or facts have to be compressed or just outright invented, all to tell a better story, so be it. Deadman’s Curve can’t even begin on a historically accurate note; it gets the date wrong for a brief concert scene showing Jan and Dean, indicating it’s a mere 2 months after his accident (Jan was in a coma at the time). There’s no mention in the movie of key people in the duo’s career, like producers Lou Adler or Herb Albert, nor of any of the songwriters that Jan collaborated with (Jan’s extensive work with The Beach Boys’s Brian Wilson is nowhere to be found). Jan’s real-life girlfriend, singer/songwriter Jill Gibson, is morphed into just plain girlfriend “Susan,” (the pretty Denise DuBarry), while the boys’ college studies and life are eliminated. Even Jan’s highly influential song producing work, an element of his career that few know about—to his professional reputation’s detriment—are only briefly alluded to in Deadman’s Curve. Worst of all, there’s very little done with the Dean Torrence character, the other half of the singing duo. Talented Bruce Davison, back on television after having lost out on a big screen leading man career when Willard follow-ups like Ulzana’s Raid, The Jerusalem File, and (god help us) Mame stiffed at the box office, has almost nothing to do here in the little screen time he has, other than sing into a mic, or take a heap of belittling abuse off arrogant, controlling Hatch (don’t you bet Davison would have had a field day with scenes depicting Dean’s involvement with the Frank Sinatra, Jr. kidnapping). 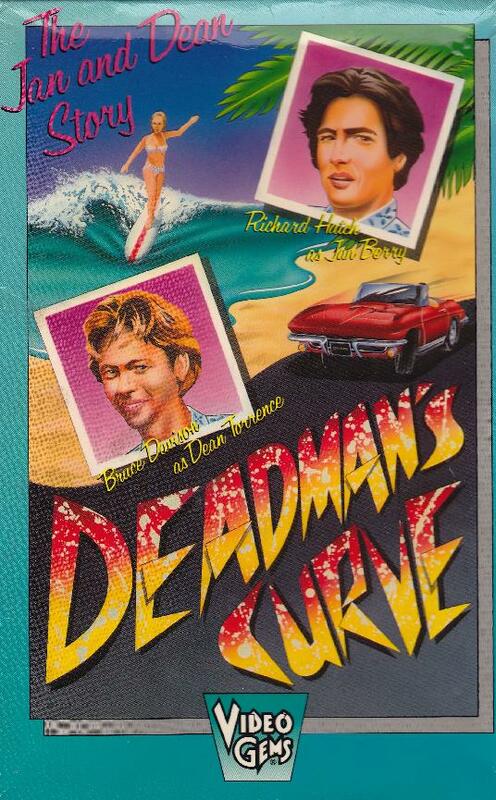 So, with all those minuses…why bother watching Deadman’s Curve: The Story of Jan and Dean, right? Well, there is the Jan and Dean music, some of which I understand was re-recorded specifically for the movie (from what I’ve read, Dean was actively involved with the movie’s production). There’s also Richard Hatch’s quite fine performance as the troubled, ultimately tragic Jan Berry. As a kid, I only knew Hatch as the guy who suddenly showed up on The Streets of San Francisco instead of Michael Douglas, and for his boring role on Battlestar Galactica (they didn’t even bother to make an action figure for his character—Han Solo-ish Dirk Benedict got that immortality). But I never forgot Hatch’s turn here, and it holds up quite well almost 40 years later. Cocky and exuberant at first, and then cold, sneering and manipulative as a domineering rock star, Hatch surprised me with the nasty edge he summoned up (maybe he should have played more villains in his career? ), an edge he wisely kept as he segued into the post-accident Jan, still a problematic, demanding character despite the built-in audience sympathy stemming from his condition (the fact that Hatch wasn’t even nominated for an Emmy is just another example of how those silly awards blow). It’s a beautiful turn by Hatch in the classic biopic form: confidence, talent, and drive lead to success, but the ego needed to climb to the top proves to be an Achilles heel, leading to abuse of friends, loved ones, and self, and then to the inexorable downfall, before a painful but enlightening personal redemption. 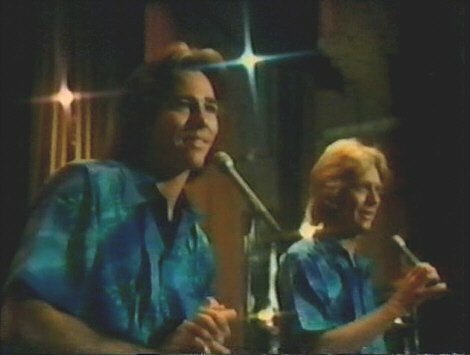 On second thought…maybe it’s better that Deadman’s Curve: The Story of Jan and Dean, faults and all, stays the only cinematic portrayal of the singing duo. If it was made today, the classic Greek tragedy framework of fate and personal integrity (or lack thereof) would be jettisoned for a numbing, self-righteous, self-flagellating sociological/political exploration, no doubt. Jan and Dean would be made to pay for their “original sin” of being being white, well-off, and successful during a time in America when others weren’t allowed to succeed. Their hard work would be turned into mere luck and cultural appropriation, their downfall would be a righteous punishment, and their rebirth—touring for decades in all those “golden oldies” concert venues, with Jan struggling mightily against drugs and his physical ailments—mocked and derided. 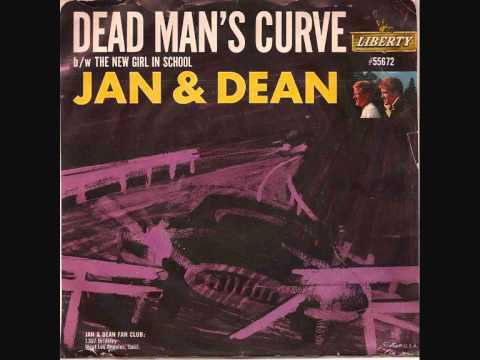 As written and produced by today’s Hollywood, the tragedy of Deadman’s Curve: The Story of Jan and Dean—no, the crime of Deadman’s Curve—wouldn’t date at Jan’s 1966 car crash, but rather at both singers’ births. Yeah…you know what? Just leave it at this made-for-TV movie. Deadman’s Curve is my favorite TV movie. I have it on one of the Video Gems VHS tapes and I’ve seen it so many times I have parts of the dialogue memorized. When I saw the movie in February 1978, I was 16, and I was helplessly sobbing by the end of the movie. I had never heard of Jan & Dean before the movie, and became a big fan after that, and saw them a number of times in concert over the years. I also fell madly in love with Richard Hatch and to my great joy was able to meet him a number of times. In the 1980s, Deadman’s Curve showed up in syndication a lot. It was readily available with various covers on VHS at that time, but eventually the TV showings stopped and the videos disappeared. I had always figured that the copyrights to the songs had run out, but last year one of the obscure over-the-air digital channels called Decades aired it several times, so perhaps I am wrong. My city doesn’t have Decades so I don’t know if the movie was shown with fading colors or if it was edited down to make room for more commercials.